Tom DeLonge’s greatly anticipated post-Blink-182 album was released on Monday, April 20. The album, titled To The Stars . . . Demos, Odds, and Ends, is just that. It’s a collection of random rough tracks, ideas, and unfinished demos. But this rough description didn’t stop people around the world from buying the album on release day. And that’s good because, despite being a mix of unfinished, unrefined tracks, this is a solid album that should appeal to all Tom DeLonge fans. And this is just a taste of what Tom has in store for fans . . .
You can pick up your copy of To The Stars . 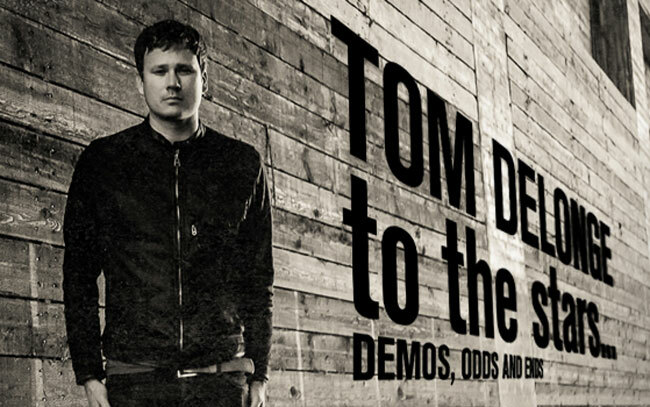 . . Demos, Odds, and Ends at http://www.tomdelonge.me or at http://shop.tothestarsinc.com/tom.